"Six Real Benefits of Lowering the Cost of Communications"
Free Guide: "Six Real Benefits of Lowering the Cost of Communications"
The business environment is growing increasingly more competitive. Most best-in-class IT organization have already figured out how to improve corporate collaboration with unified communications. 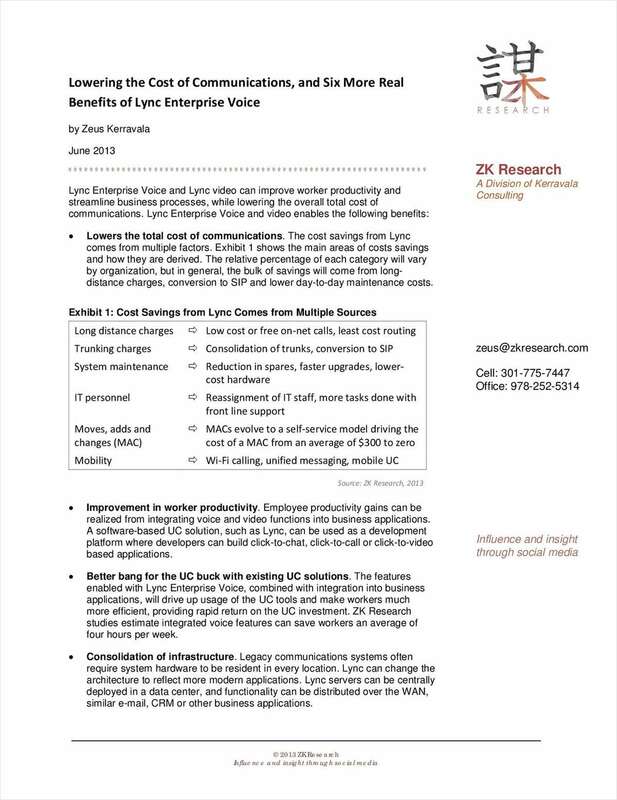 And, early adoption of Microsoft Lync and presence has been strong for both IT departments and knowledge workers.